What if the secret to retail success isn’t how you say it, but how you display it? What if you could display your retail in a way that it would sell itself? Having an effective retail strategy can be the reason you achieve financial stability sooner, as the revenue opportunity is immense. Selling retail does not need to be scary, and it certainly does not have to be hard work. With a little planning and creativity, you can be well on your way riding the retail train all the way to respite in the Bahamas. Have you ever wondered how some of your favorite stores choose to display items for sale? The strategic placement of props in a proportionate balance of retail products is more than an art; it’s a scientific equation created for purchasing persuasion. The deliberate mix of 80% product to 20% props sets the scene for the “silent salesperson” to sell. Visual merchandising is the art of thoughtfully telling a story through a balance of products and props with customer purchasing behavior in mind. Industry insiders call this a silent salesperson, because it will sell for you if done effectively. Research shows humans process information more quickly when there’s a story with it. This silent salesperson can elicit an emotional response from the thought of using the products, or telling the story of purpose for the products, or even selling a lifestyle by choosing the products. If you have a retail section in your spa, it is time to put on your visual merchandiser cap and start thinking like a pro. You will need an open and creative mind, a small budget for a retail refresh and some thoughtful work to get your spa’s retail area in top shape. Whether you start with Pinterest, or make several stops at different retailers, isolate what draws you to particular displays and take notice of what you do not like. Recognize the various design elements used and how props are integrated. Decide what you can incorporate into your own space. Look at your retail/checkout area with fresh eyes and pretend it is empty. Now is a good time to re-evaluate to make sure you are making the best use of your space. Identify what clients see first. How do you want to use the area? What is the story you want to tell? Try rearranging your retail furniture and general layout until you feel confident in the placement for this floor set. Decide which products are most valuable to sell, which products are complementary to the most important ones and which need more attention. Then, build your strategy around these items. Sometimes drawing out your plans and erasing can be more efficient than physically moving product around. Also, consider supplies needed, and how you want to display your products. Take all the goods off the shelves and give the shelves a wipe down and dusting. Be sure to look underneath and behind shelves, too. Before placing any products back onto your shelves, decide if the shelf itself should move, and then wipe off every product to ensure it is also free of dust. Remember, you can move products around. Put your most important product promotion at eye level in the center of the display (that’s what grocery stores do). These products should be your most profitable or most valuable products. Build around them. 6. Keep It In The Family. Try grouping like products together. It can help increase add-ons and whole-line purchases. Generally, product lines design their packaging by concern, so it is esthetically pleasing to the eye to see similar items grouped together. It also makes it easy to talk to clients about the products that address their concerns if they are in one spot. Just because you have 10 of the same eye cream, does not mean you need to display all of them. In fact, 3–4 on a shelf sell better than 10. Why? Because customers perceive an item with abundant quantity to be unpopular. Allowing clients to see, smell and touch the products they are interested in can help influence their decision to buy. Mark the testers clearly and make sure to keep them clean. Many product lines offer table talkers or signage that helps tell customers the story of the product, which ultimately helps sell retail. Ask your product rep if they have them, or make some professional-looking ones yourself. 10. Eliminate the Guessing Game. Be sure to either individually label products or have shelf pricing for the group. Customers are more inclined to spend money if they know what they are committing to purchase. 11. No More Product Jenga! Have enough space so products are not crammed into shelves. If products can be picked up and put back without the whole display falling over, they pass the test. If there is not ample lighting in your retail space, make some. Ideally, overhead lighting is preferred, but you can make do with adding a lamp or sconce if necessary. Make customers feel like the retail area of the store is not an afterthought, but an essential stop whenever they are in the area. 13. Follow the Elements of Design. With the principles of interior design in mind, create variation of height, texture, color and emphasis. Items like baskets, crates, apothecary jars, serving trays, stands and other display items are great for adding variety and repetition, while showcasing your products in a way that sells. Just be sure not to put products in containers on shelves where customers cannot see inside. 14. Bring in Mother Nature. Faux greenery can instantly give life to a display. Alternatively, wood can also bring a balance and looks great paired with greenery. 15. Do Not be Afraid of Heights! Move the buyer’s eye upward and take advantage of vertical space by stacking and using props. If your ceiling permits, consider hanging accessories from it. An upside-down umbrella for spring, “floating” die-cut hearts during Valentine’s Day, even long garlands of faux floral can create a beautiful space. If the ceiling is not an option, a tall vase in the center of a table with twigs or floral can also be your friend. Use the whole visual space. 16. Out With the Old. If products in your markdown bin are still there at the end of the quarter, it is time to cut your losses and move it off the floor. Consider donating items that do not sell well or giving them away as gifts with purchase. Point of Purchase (POP) displays are products placed where the customer pays for their purchases. Having impulse purchase products like lip balms, essential oils, travel SPFs and other smaller products are a great addition to your retail strategy and can enhance the overall client experience. Remember, this space is prime real estate. Anything here should be thoughtful and organized nicely. Accessories can take your retail display to an entirely new level, adding interest and excitement by telling a story. Designed to dazzle the senses, the possibilities are limitless and should change periodically. No matter what direction you go with props, a good rule of thumb is 80% product and 20% props to help tell the story without distracting from it. For example, a beautiful mix of sunscreens and after-sun products could be the focal point of your summer display, with the addition of hydrating moisturizers, spritzers, lip balms, body butters, and mineral makeup. While this is the bulk of what you are selling, you could also add a small mix of wide-brimmed hats, trendy sunglasses and a few beach totes that become a gift with purchase. Set the scene by rolling up colorful towels, an umbrella, toys for the sand and a side table, all on an elevated surface. After you stand back and revel in your hard work, make sure you notate current product sales so you have a baseline for your new floor set. After all the effort to rehab your retail space, how will you know if it’s made a difference? It will help for inventory purposes if something is flying off the shelves, but also if something is not moving as quickly as you would like. In this case, consider moving it where the better performing product(s) sit. Displays and focal points should be changed frequently to keep repeat clients visiting the retail area. The first time you do this will be the hardest, but each time after you will gain more insight to what excites your clients, as well as how to rearrange and showcase products more effectively. The sky is the limit with your visual merchandising strategies. Don’t be afraid to take risks or do something out of the ordinary. Just remember, any improvement will be a solid step toward retail rehab. Mark the testers clearly and make sure to keep them clean. An effective retail strategy can help you achieve financial stability sooner. 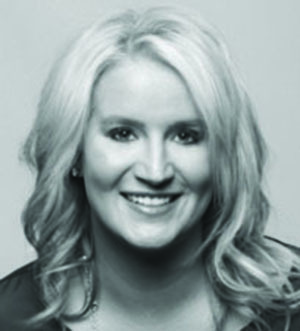 Lauren Snow is a licensed esthetician and director of membership for Associated Skin Care Professionals (ASCP). Snow creates ASCP’s business brand strategies, marketing campaigns and membership collateral. Snow is also a public speaker whose work can be found in various industry trade publications.